When borrowers download a copy of the software they can easily and accurately enter their balance sheet information. The customer can either email their balance sheet file to you, or they can bring a flash drive to the bank and you can simply import their balance sheet copy into their file. Letting your customers know about this FINPACK feature will save you both time. 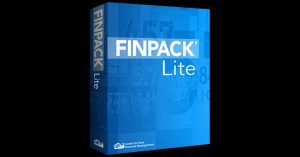 Call us today at 1-800-234-1111 for more information or tips on using FINPACK Lite.